Ever wondered how the kid in The Karate Kid actually defended himself against the bullies? Practice. Practice, a calm disposition, and strength. It would be nice if our children, our nieces and nephews were all that confident and learned how to defend themselves, should we not be there to help them ourselves. Well now they can! 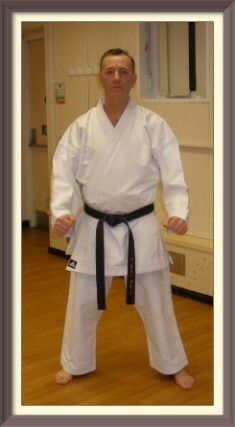 Quinton's Scout Hut is the new venue for K.S.K.A karate classes for adults and children. Free membership, and you pay as you train learning couldn't be easier. Adult classes cost £4.00, and children £3.00, but you really can't put a price on self-defence. The classes are led by three different teachers, and take place on Tuesdays 7.15-8.15pm and Thursdays 7.30-8.30pm. They're after-work and school hours so they're really no excuse. Most importantly however, after a handful of classes your child or even you might feel a bit more confident in a situation where you might feel threatened. In fact I don't doubt you'll welcome the challenge.